GIAO DIỆN: 02 FE( 100 MBPS) WAN PORTS + 02 SERIAL WAN PORTS; 02 X HWIC SLOTS. Giao diện: WAN: 01 GE RJ45+ SFP (1000Mbps) , 01 FE (100Mbps) ; LAN: 08 port GE (1000Mbps) PoE. 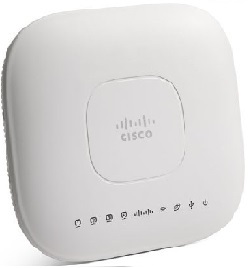 Metro Ethernet; IPv6; 802.11 a/g/n access point option. - Chassic WS-C4506-E: 06 Slots +02 AC Power Supply (1000W) 100-240V. - 01 x Supervisor 4 (WS-X4515) 64GBps, 02 GE (GBIC) ports uplinks. - 01 x Line card (WS-X4506-GB-T) 06 GE Ports (SFP / RJ45) support full PoE (15,4W). - 02 x Line card (WS-C4548-GB-RJ45) 48 GE ports (RJ45). * Supervisor 4 (WS-X4515): Switching hardware Layers 2–4 (64 Gbps- 48 Mpps) ;02 GE (GBIC) ports uplinks. * Line card (WS-X4506-GB-T): Cấu hình: 06 GE Ports (SFP) ; 06 GE (RJ45) support full PoE (15,4W); full line-rate switching on all ports. Design connect to Servers, Switch Access, IP Phone, Wireless, Video Conferencing,..
* Line card (WS-C4548-GB-RJ45): . 48 GE ports (RJ45) connect to PC. CISCO SWITCH CATALYST 2960-24 (WS-C2960-24TC-L): 24 FE (100MBPS) PORTS + 02 GE (RJ45 + SPF). 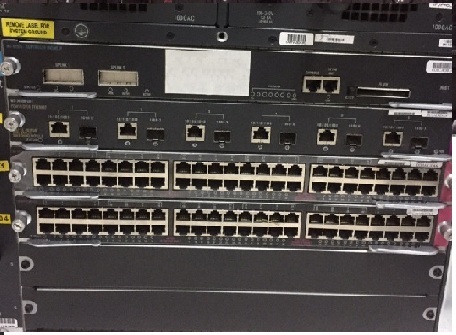 CISCO SWITCH CATALYST 2960-24 (WS-C2960-24TT): 24 FE (100MBPS) PORTS + 02 GE (1000 MBPS). Giao diện: 24 FE (100Mbps) PoE ports + 02 SFP GE (1000 Mbps). 12. 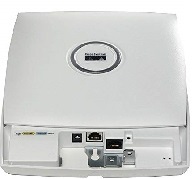 1 Cisco MC3810 Multiservice Access Concentrator: = Xem chi tiết catalog Cisco MC3810. 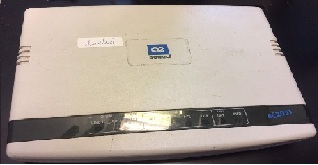 giao diện: E1 G.703/G.704 interface (RJ-45); V.35 (connect to DTE); RS-232 console. Copyright © 2019 Công ty VNIT . All Rights Reserved. Designed by JoomlArt.com. Joomla! is Free Software released under the GNU General Public License.